These green-minded drug smugglers tried hiding more than a ton of marijuana as carrots while crossing the border through Mexico. 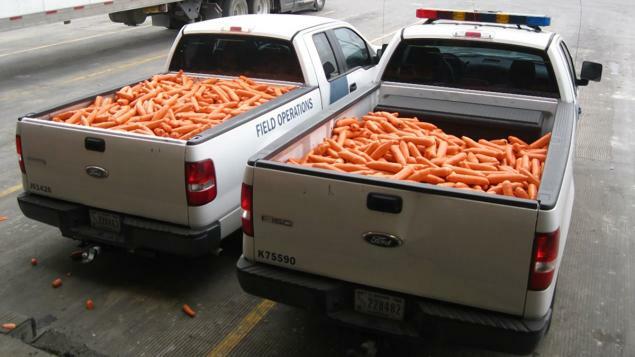 Drug smugglers were busted trying to hide more than a ton of marijuana disguised as carrots while crossing the U.S.-Mexico border, officials said. Hiding their green bud among the orange vegetables, the smugglers tried driving through the Pharr-Reynosa International Bridge on Sunday, the U.S. Customs and Border Protection said. After an image scan, officers brought out a canine team to sniff out the drugs. 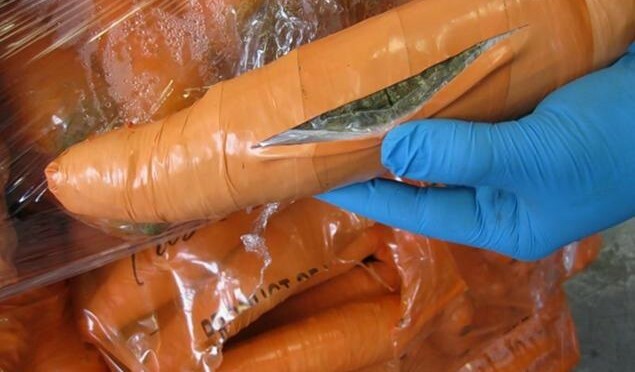 Disguised among the cargo of fresh carrots were 2,817 packages of marijuana, wrapped into carrot shapes with orange plastic. The drugs were wrapped in carrot shapes around orange plastic and hidden among the fresh vegetables. Officers seized 2,493 pounds of marijuana, worth about $499,000, police said. This isn’t the first time smugglers have tried hiding marijuana using salad ingredients at that border checkpoint. On Dec. 2, 2015, at the same bridge, police stopped drug dealers from bringing in $1.7 million worth of narcotics, which were disguised as cucumbers and carrots again. About two weeks after that, officers found $479,000 worth of marijuana hidden among fresh tomatoes.